My paralegal, Jessica Martinez, will be able to help you to schedule a consultation appointment with attorney Ari Sauer. Or click here to request a Consultation Appointment with Attorney Ari Sauer. *This is an advertisement. The information on this blog is of a general nature. You should consult with an experienced immigration attorney before relying on this information as the information provided may not apply to your specific situation and the immigration laws and procedures frequently change. The information on this blog is not intended to create an attorney-client relationship. Ari Sauer is a Memphis immigration lawyer licensed through the states of TN, NY and NJ. Ari Sauer limits his practice to the federal practice of immigration law only. Certification as an immigration specialist is not currently available in New York, New Jersey and Tennessee. Having previously married and divorced before obtaining a green card usually does not harm future applications for a green card based upon later being married to a different US citizen. However, where the first marriage was entered into solely for the purpose of obtaining a green card or other immigration benefit (known as a fraudulent marriage or a sham marriage) or where USCIS or the DOS makes a determination that the first marriage was a fraudulent marriage, then that can create a bar from most future immigration benefits. If you are unsure what happened to the original application, or if USCIS questioned the bona fides of the original marriage, then you should definitely consult with me or another experienced immigration lawyer before having your current husband file on your behalf. Also, if you last entered the US without inspection, you should also definitely consult with me or another experienced immigration lawyer before having your current husband file on your behalf. * This is an advertisement. Ari Sauer is a Memphis immigration lawyer with the Siskind Susser law firm. http://www.visalaw.com/ari.htmlhttp://www.visalaw.com/ari.htmlhttp://www.visalaw.com/ari.htmlhttp://www.visalaw.com/ari.htmlhttp://www.visalaw.com/ari.htmlhttp://www.visalaw.com/ari.htmlhttp://www.visalaw.com/ari.htmlhttp://www.visalaw.com/ari.htmlhttp://www.visalaw.com/ari.htmlhttp://www.visalaw.com/ari.htmlhttp://www.visalaw.com/ari.htmlhttp://www.visalaw.com/ari.htmlhttp://www.visalaw.com/ari.htmlhttp://www.visalaw.com/ari.htmlhttp://www.visalaw.com/ari.htmlhttp://www.visalaw.com/ari.html. On this blog we answer questions as a service to our readers, but we cannot assume any liability related to reliance on anything herein, and responses to questions are not intended to establish an attorney-client relationship. Immigration laws and regulations are constantly changing and the rules stated may not apply to your situation. Readers are cautioned to schedule a consultation with an immigration lawyer before acting on anything stated in this blog. This blog is not intended to substitute for a consultation with a qualified immigration law attorney. Ari Sauer is licensed to practice law through the states of Tennessee, New York and New Jersey but is eligible to assist clients from throughout the US. Certification as an Immigration Specialist is not currently available in Tennessee, New York or New Jersey. Siskind Susser limits its practice strictly to immigration law, a Federal practice area, and we do not claim expertise in the laws of states other than where our attorneys are licensed. I am a K1 visa holder, I have received my green card, I have been here for one and a half years, but several months ago my green card was stolen, I have replaced a new one, and I have been waiting for 3 months after fingerprinters, I will travel outside the us in two weeks, plus I have check my case online, it’s still in process, so I am confused and worried whether I can reenter the US when I finish my travel? I really don’t know how to solve this problem. I also have read some your comments and known some information about I -551 stamp, so I have made an inforpass appointment to obtain a I-551 stamp, but my appointment’s date is very close to my ticket date, can I obtain a I-551 stamp very soon? You should be able to have your passport stamped with an I-551 stamp, in that situation, at an Infopass appointment. You will need to bring your receipt notice for your application to replace permanent resident card (I-90). Since your green card was stolen, you should also bring a copy of the police report, if you filed a police report for your stolen items. * This is an advertisement. Ari Sauer is an attorney with the Siskind Susser law firm. You can call 901-507-4270 and speak with my paralegal to schedule a consultation appointment with me or another Siskind Susser lawyer. A standard consultation fee will apply for all consultation appointments. Visit our website at http://www.visalaw.com/about-visalaw/our-team-1/attorneys/ari-sauer/http://www.visalaw.com/about-visalaw/our-team-1/attorneys/ari-sauer/ . On this blog we answer questions as a service to our readers, but we cannot assume any liability related to reliance on anything herein, and responses to questions are not intended to establish an attorney-client relationship. Immigration laws and regulations are constantly changing and the rules stated may not apply to your situation. Readers are cautioned to schedule a consultation with an immigration lawyer before acting on anything stated in this blog. This blog is not intended to substitute for a consultation with a qualified immigration law attorney. Ari Sauer is licensed to practice law through the states of Tennessee, New York and New Jersey but is eligible to assist clients from throughout the US. Certification as an Immigration Specialist is not currently available in Tennessee, New York or New Jersey. Siskind Susser limits its practice strictly to immigration law, a Federal practice area, and we do not claim expertise in the laws of states other than where our attorneys are licensed. the opinions expressed here are those of Ari Sauer and do not necessarily reflect the opinions of Siskind Susser. I found that you are answering some sort of question online. It is a nice way to communicate on a short time. I also have a question for you. I am a F1 student here. My wife face F2 visa on my home country but she refused 3 times. I tried to investigate her visa denial issue through Honorable congressman Mr. Steve Cohen’s office and got a reply that my wife was unable to demonstrate that she is my valid wife. But according to our country’s law we are valid husband and wife. Consulate was confused as our marriage is a special marriage which is against our country tradition and majority people’s religious constitution. While getting confuse on interview, consulate asked a native official to know this law details. But that native person unwilling to respect our marriage as it was against their religious tradition. I tried to communicate consulate office through Mr. Cohen’s office but my wife getting denied after then again. My home country’s law ministry and Foreign ministry attested our marriage certificate as a valid marriage but while it was shown to consulate, they were not convinced. On the other end, according to different religion marriage system, my wife are getting threaten by some terrorist. Now a days in my country there were several killed due to some activist who are against religious constitution. My question, Is there any way to make a appeal or petition for that visa application which was denied? Or any recommendation from USA that motivate consulate office to give my wife visa? Is there any other way thus my wife’s current situation (threaten by terrorist) helps her to get visa? Did your law firm or you are experienced this type of visa (F2- NIV)denial issue before? May I ask your approach if I would like to seek consultancy or advocacy from your law firm? Do you have any other way to communicate consulate office or ambassador to convey my situation? So far I heard that my country US ambassador is nice lady and she is aware of this type terrorism in our country. Hope conveying this message help my wife to get visa. I will be happy to hear from you and your instruction. Without knowing the details of the situation, it is hard to say for certain whether we can be successful in overcoming this consulates decision. But if the situation is such, and with the right evidence, an immigration attorney can make a request to the DOS Visa Office, explaining why the consular decision is wrong and asking them to issue an advisory opinion to the consular post. This does not guarantee that the consular post will issue the visa, but it is the appropriate path to take at this point in the situation you have described. * This is an advertisement. Ari Sauer is an attorney with the Siskind Susser law firm. You can call 901-507-4270 and speak with my paralegal to schedule a consultation appointment with me or another Siskind Susser lawyer. A standard consultation fee will apply for all consultation appointments. 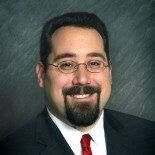 Visit our website at http://www.visalaw.com/about-visalaw/our-team-1/attorneys/ari-sauer/ . I am authorized to work with OPT STEM extension (about to expire in near future). 1. What are the expectation for with regard to the executive order on increasing the OPT STEM extension duration ? 2. For L1 visa, is it required condition that I should be working with the company in a location OUTSIDE of United States for one continuos year ? For the L-1, the one-year employment with the company abroad must be done while the employee is physically outside the US. At this point it is completely impossible to predict what will happen with the President’s planned executive orders. The administration has yet to move forward with some of the announces plans, and the Republicans have been using the Courts to stop, or at least delay, implementation of those that the administration has tried to put into place. i was interested in the recent CIS raid on Chinese maternity hotels in LA. Any indication if this is an attempt by CIS to shut down these businesses, or if they are just going after the bad actors for tax evasion / visa fraud, or is there something else going on here? It seems that they are attempting to shut these types of businesses down by charging the women with visa fraud. Ii want to renew my green card which expired in 2010 and I was a permanent resident , but since 2007 i am not living in the US and i am still outside US and now I want to renew green card. what should i do now to renew green-card or can i return to the US on a expired green-card. i have no criminal record. You cannot renew your green card in your situation. You options are A) to obtain an SB-1 visa as a Returning Resident, which is obtained from the consulate. Or B) you will have to go through the process of obtaining a new immigrant visa, if you are eligible. Here is a post on my blog with some basic information about the SB-1 visa. https://immigrationanswerman.com/tag/sb-1/ . I would definitely recommend hiring an experienced immigration lawyer to assist you in preparing your application for the SB-1 visa, as they are not easy to get. I am not sure if you will be able to obtain one, given that you have been outside the US for 7 years and your green card expired 4 years ago. But it doesn’t hurt to try. I am a US citizen and married my husband in 2006, who entered without inspection. He has been here since 2003, we have a home together, a business and he has adopted my 2 daughters from a previous marriage. He has never been outside the US, since he has been here. He does however have 2 DWI;s that were both from 2005. What would be our course of action to fix his papers? Do we file the I 130, then wait for approval and file the I 601a, and what are his chances of being accepted? Thank you for your time. You would need to file an I-130, have that approved, and pay the Department of State filing fees with the National Visa Center, before being able to file the I-601a application. But I would strongly recommend that you consult with an experienced immigration lawyer before beginning this process. I cannot tell you what your chances for approval of the I-601a are. Each case is different. However I will say that it is my experience that having an experienced immigration lawyer assist you in preparing the I-601a application can definitely result in a stronger application that is more likely to get approved. Hello I wanted to know if a person filed an I601A application went for biometrics the a month and a half later had an emergency in Mexico such as parents being sick. Then that person decides to leave to Mexico. This person flies to MX and has passport stampted. Does that affecta decision in the I 601A. That Person is currently in MX waiting for a decision on the I60A. While in MX a month ago they received an RFE Wife sent the evidence. I wanted to know does this affect the decision at all or the decision when he goes to the visa appt? Thanks! I haven’t seen this particular situation yet, so I am not 100% certain of the answer. However it seems to me that leaving the US while the I-601A application is pending, but after having the biometrics taken, should not stop USCIS from adjudicating the I-601A. However, the instructions are very clear that if the person enters the US without inspection, or attempts to enter the US without inspection, after the application is filed or approved, it will result in the automatic revocation of the application or the approval. Hello I came here (USA) when I was 9 months old on a tourist visa with my mom. Long story short I overstayed and now am in the daca as I am currently 26. My mother and sister are both citizens. I also traveled out of the country and now am paroled in the USA(with advance parole issued from daca). What are my options at this point? There are many people like me also in the daca. I would not be able to tell you what your options are without knowing a lot more about your situation, including your full history and your family’s full history. I recommend that you have a consultation appointment with me or another experienced immigration lawyer, so that we can figure out what options are available to you, or might be available to you in the future, to obtain permanent resident status for you. person is currently an overstay and out of status. their parent is applying for a visa and has to list his/her children on a visa application (including their present location). is the info he provides shared with enforcement agencies. will these agencies use this info to find/prosecute person A? T, I guess there is no guarantee that USCIS wouldn’t use the information provided in a negative way, as you described, but I haven’t seen it happen. More importantly, if the person makes misrepresentations in their immigration forms, such as purposely omitting information about a child, that can be held against them and can have serious consequences with this application or with later immigration processes. My husband was issued a green card with no expiration date in 1981 (after he was 14 yrs old). He recently applied for a armed security license. The state is now saying he has to renew his green card and will not accept his current card. Is it correct that he is required to renew his card? Yes. It is correct that he needs to apply for a replacement green card that has an expiration date. The cards without dates are no longer valid as proof of permanent residence. Those who have the old cards are still permanent residents, but they must apply for a replacement card in order to have a valid card to prove that they are permanent residents. Yes. When USCIS changed their green cards to include an expiration date, they required that everyone with an old green card, without an expiration date, must apply for a new card which has an expiration date. The old cards are no longer accepted as valid proof of permanent residence. So even though someone with an old card is still a US permanent resident, the still need to apply for a new card to obtain valid proof that they are a permanent resident. The current way to apply for a new card is by submitting a Form I-90 application. The person can do this themselves, or they can hire an attorney to help them with filing the I-90 application. It will take some time to obtain the new card, but while the application is pending it is possible to obtain a temporary I-551 stamp to use as temporary proof of valid permanent resident status while waiting. Susi, you have to have a basis to apply for an immigrant visa. For example when your daughter is 21 years old, she can petition/sponsor you. The waivers (for example, the I-212 and I-601) only waive bars that would keep you from being able to get a visa if you have a basis to apply for the visa. They do not create a basis itself for you to apply for a visa. I would suggest that you schedule a consultation appointment with me or another experienced immigration lawyer, so that you can get a good idea of what options may be available now or possibly in the future. hi ,i took the green card when i was 14 years old (my dad applied for us in the lottery and he won) and now my green card got expired in 2009 and i couldn’t go to the US to renew it because i was in my last year of university, then due to the law of my country i couldn’t travel out side for the next three years after finishing my university (because in my country when you have a brother you have to apply to the army after you finish studying and they put you on pause for 3 years and maybe the call you and maybe the dont , and in my situation they didn’t call me for the army) so is it possible that i can renew my green card now after it got expired 5 years ago ? I teach in a Community College at Memphis. My Employer is interested to file H1B (Premium) petition for me. I have an MSc (Computer Engg) and an MBA, both from University of Memphis. What kind of fees / deals / offer / package you have for processing my petition on behalf of my College? Please respond at your earliest convenience. I am sorry, but I do not discuss my fees on this site. If the college would like to schedule a time to talk to me about hiring me to file an H-1B petition for them on behalf of you or any other employee, they can call my office. My parent entered the united stated illegally and have been here for 22 years. They both have jobs and pay their taxes.Me and my sister are both citizens. My sister just turned 21 and is in college and I am 18 and also in college and have a job.Is there anything we can do to have my parents be here legally ? As a 21 year old US citizen, you can petition/sponsor your parents. However, because your parents entered without inspection, they might not be able to apply for the green card here in the US and would be subject to a bar from applying for the visa at the consulate abroad. You should have a consultation with me or another experienced immigration lawyer to determine if your parents might be eligible for one of the few exceptions to allow them to apply for the green card here in the US or whether they might be eligible to apply for a waiver of any bars so that they can apply for the visa at the consulate. An attorney will also be able to tell you if you parents may be subject to a bar that does not allow for a waiver, in which case your parents would not be able to apply for a visa under either option. Hi, my name is Eunice, US citizen and I aplyed for my husband. I prepared a Waiver once I had an accident at my work place what caused me serious injury, so I need Spine surgery (cervical), and I am facing a lot of health problems. My husband went for interview on May 16th, 2013 and they marked seccion 212 (a)(6)(B), what look like no waiver for this…. What can I do once I have this serious health condition with all medical treatment in US, so no chance to live in Brasil….. There is no waiver for an inadmissibility under 212(a)(6)(B) for failing to attend an Immigration Court hearing. If he had a reason why his failure to appear was beyond his control then he should consult with an immigration attorney about the possibility of arguing that he should not be subject to that bar. If you would like to consult with me about this, you can call 901-507-4270 to schedule a consultation appointment. Under the new bill to be introduced people who have been here 10-20 yrs will have to wait another 10 for LPR and 13 for citizenship. This is ridiculous and if the republicans or Marco Rubio has initiated this then they are sure to lose elections in 2016 as well. People who have been here anywhere from 5-10 yrs have US citizen kids and have established roots they have to wait for another 10-13 yrs because the current system is inefficient/clogged with chain migration applicants. Ridiculous! Under the new bill due to be released 04/17/13 people who adjust under RPI will they able to sponsor and bring a spouse from overseas and how long would it take to bring their spouses from overseas if someone who adjust under RPI goes and gets married overseas after adjustment under RPI. We are still awaiitng details of the bill and could could you clarify this once the bill is introduced. * This is an advertisement. Ari Sauer is a Memphis immigration lawyer with the Siskind Susser law firm. http://www.visalaw.com/ari. On this blog we answer questions as a service to our readers, but we cannot assume any liability related to reliance on anything herein, and responses to questions are not intended to establish an attorney-client relationship. Immigration laws and regulations are constantly changing and the rules stated may not apply to your situation. Readers are cautioned to schedule a consultation with an immigration lawyer before acting on anything stated in this blog. This blog is not intended to substitute for a consultation with a qualified immigration law attorney. Ari Sauer is licensed to practice law through the states of Tennessee, New York and New Jersey but is eligible to assist clients from throughout the US. Certification as an Immigration Specialist is not currently available in Tennessee, New York or New Jersey. Siskind Susser limits its practice strictly to immigration law, a Federal practice area, and we do not claim expertise in the laws of states other than where our attorneys are licensed. respected sir,my uncle has applied in dec2005 to my family.when they will get visa and i recieved one letter. Read this post which explains why it isn’t possible to say when they will get their visa. Thank you for the response, all that I read relates to challanging a non dsicion or delayed desicion rather than an adverse desicion. They keep talking about the so called non reviewable principle or diplomatic immunity of consular desicions. My wife and I were both approved for our H1B visas at the time of the consular interviews we were both denied based onnthe wrong application of the law claiming unlawful prescense. Our attorney is suggesting that we file a Mandamus Writt lawsuit to challange the decision. Do you belive this could be sucessful given that non reviewability principle on all consular decisions. Your help would be much appreciated. Filing a Writ of Mandamus against the Department of State is a possible option. But it is something that you would only due after exhausting all other options with the DOS. It is expensive and is not guaranteed to be successful, but there are situations where a Writ of Mandamus has been successful to “unstick” a visa application at the consulate. We have applied an I 130 for spouse. After the petition was approved on the 4th Feb, 2013 later when we received no response from NVC, we found out from the NVC by calling that the petition had been returned to immigration for review. We do not have a reason as to why it was returned. Now USCIS says it can take up to 120 days before we would receive a response. The petition was sent back to “immigration” on the 8th of March. I want to know why has NVC sent the petition back even before an interview? At the CEAC tracking website, when you go to IV application status the case number given by NVC brings up a nonimmigrant application status. Whats going on here?? I can’t say for certain without having a consultation and getting more information. It sounds like he probably is not eligible to apply for Adjustment of Status here in the US. But you might be able to file an I-601A provisional waiver for him. You should have a consultation with an immigration lawyer to find out for sure what options might be available. You can schedule a consultation appointment with me by calling 901-507-4270. Hello Ari, I have entered USA in 2003 from Russia, applied for politival asylum within a year and case was denied at 2007, filed appeals which were denied as well, right now my case is in 9th circuit of appeal, it is in mediation. I got married to US citizen 2 years ago, and got I130 approved, but it was after 90 days period. So we asked chief counsel to join us in MTR, which he didn`t. My attoerny filed for MTR via sua sponte, and it got denied. My husband and I are young so my husband doesnt have a critical health condition, and he does have a phsycologist evaluation where it states he suffers from severe anxiety from all my immigration problems and it is recomended for his wife to remain with him. And he s an engineer here, he wont be able to make a living if he goes back to my country with me. He also has a younger sister and mother he doesnt want to leave behind. But apparently that wasnt enough for them. My attorney says we can file for motion to reconsider, because they actually didnt get his doctor evaluation on time before decision was issued. At the same time if worse comes to worse and I have to go back, he will have to file 601 and 212 wavers, but how do we prove extreme hardship, when so far we got denied with all the evidence we have. It is hard to comment without knowing your detailed history. The standard for asylum and Motions to Reopen is different from the standards for I212 and I601 waivers. Did your attorney rule out a DACA deferred action? Hello Ari Sauer ….My son is 5 years old and he is a US citizen I have been goin back and forth for years but this last time I decided to stay because I want my son to go to school here in the US but i came here on a visa and overstayed my 6 months. Can my son situation help me? I have been here for 10 months…. A US citizen must be at least 21 years old before they can petition for their parent. You should consult with an immigration attorney to see what options may be available. You should do so as soon as possible, since you are likely accruing Unlawful Presence and may limit your options if you wait to long. Call 901-682-6455 to schedule an appointment with me to discuss your options. A standard consultation fee will apply. hi good night . my husband is a permanent u.s. resident who file for myself and daughter july 16th. 2012 can u tell me how many years it will take to get our visas thank you . thanks for all the answer the you give to everybody and a wod likw to ask the i was stop at the border and they took my information 7 years ago one time, and i try again cruzin the border now i live inside the usa sins then marriend whith mi wife american citizen and 3 kids all citizens , i have not criminal records can applyed for the I-601A. sorry for my tipyng errors. The question is whether you were issued an order of removal when you were stopped at the border 7 years ago. If so, then you may be subject to a permanent bar rather than a 10 year bar for unlawful presence. An attorney would have to request a copy of your file from CBP and possibly do an FBI fingerprint search inquiry before they could answer your question. If you would like to discuss with me the possibility of requesting your file from the government you can schedule a consultation appointment with me by calling 901-682-6455. A standard consultation fee would apply. Thanks for your answer. based on your previous answer i’ll have to wait for the 5 years, since we haven’t been married for three years, even if i have been here for that period of time. I obtained my gren card through my employer. I have been a permanent resident for a litte over two years now. My fiance and i are getting married this year and i was wondering if by the time i have been here three years in total i can apply for the citizenship since i’m married to an american and have been here for three years. Or do i have to wait until the 5 year period to apply? I am an active duty Air Force member, I’m 21 years old and filing for both my parents who have been living in Mexico since 2004, while I’ve been here all on my own since I was 14 years old. As soon as I turned 21 I filed the I-130 for both my parents, It was approved. I am just now submitting the Affidavit of Support forms and Visa Application for both of them. Their cases are scheduled for May 2014. Would the new I-601A waiver apply to them? I am very confused… I read your article and I don’t think they do since they are not currently in the US but just want to verify. If not, is there anything else I can do to speed up the process? Please let me know. I’m planning my wedding for May 2014 in Colorado but need to know they will be able to make it. They’ve missed school awards, my High school graduation, Military training graduation, rank promotions… I want to have them here asap. Thank you for all you do. It means a lot to us who are in these kind of situations for you to take time out of your schedule to answer our questions. I really appreciate it. The Provisional Waiver rule only applies when the foreign national is in the US. The point of the Provisional Waiver rule is to allow certain foreign nationals who are in the US to remain together with their family in the US while the unlawful presence hardship waiver is being decided by USCIS. If the foreign national is already abroad, and a waiver is required, they would apply for the waiver under the regular waiver process and wait abroad while the waiver is being decided. You should have a consultation with an attorney to review your degrees and experience and you will possibly need a new evaluation report done for your degrees with the PERM process in mind, especially if your evaluation takes into consideration a combination of your degrees and experience. You should qualify for the EB-3 category, but it does not sound like you would qualify for the EB-2 category. my category is f3 my mother is us citizen.and my priority date is april2004.pls tell me when i will be called for interview. It is not possible to say when a visa will be available for your petition. This is because the Visa Bulletin does not move at a fixed pace. Even the people at the DOS who make the Visa Bulletin wouldn’t be able to answer your question. I am glad to see that you are helping many of us by answering our questions online. I have a specific question. I also called in our office, I am not sure if I shud make an appointment for this question. I am an adult son of American citizen currently on work permit in Canada and I also have 10 yrs visitor visa for US. My nationality is Indian. In 2008 when my family immigrated to US I was not qualified because I was only 4 months over 21yrs. An application was filed by my dad as a green card holder for his family in E3 category for me, my mom and my younger brother. My application was in processing as well but at the time priority dates became available I was 4 months over and was not able to immigrate. Now my dad wants to apply I-130 for me and I am curious how long will be the waiting time if he applies today. Will there be any connection with my previous case where I can be qualified for any special benefit this time? What is your best advice? If you would like to call me I can call you but if there is a quick answer for this you can tell me then please answer me here. Please advice me what to do so that I can follow your advice to not delay the process any further. Thank you for your question, but there are a number of factors that need to be determined in order to answer that question. I would have to review your documents and get your whole history before I could answer you. I am not able to answer specific questions about specific cases on this forum. I am only able to answer general questions about immigration law. You should have a consultation appointment with an attorney. If you would like to schedule a consultation appointment with me, you can do so by calling 901-682-6455. I am available to do consultation appointments by phone or in my office. Standard consultation fees apply. * This is an advertisement. Ari Sauer is a Memphis immigration lawyer with the Siskind Susser law firm. http://www.visalaw.com/ari.html. On this blog we answer questions as a service to our readers, but we cannot assume any liability related to reliance on anything herein, and responses to questions are not intended to establish an attorney-client relationship. Immigration laws and regulations are constantly changing and the rules stated may not apply to your situation. Readers are cautioned to schedule a consultation with an immigration lawyer before acting on anything stated in this blog. This blog is not intended to substitute for a consultation with a qualified immigration law attorney. Ari Sauer is licensed to practice law through the states of Tennessee, New York and New Jersey but is eligible to assist clients from throughout the US. Certification as an Immigration Specialist is not currently available in Tennessee, New York or New Jersey. Siskind Susser limits its practice strictly to immigration law, a Federal practice area, and we do not claim expertise in the laws of states other than where our attorneys are licensed. The opinions stated here are the opinions of Ari Sauer and do not necessarily reflect those of Siskind Susser. if my fiance comes over on a visa and we get married in the us is it easier for him to get his paper? This is not an easy question to answer on this forum. You should consult with an immigration lawyer so that you can get the best answer for your situation. hi ,my category is F1 my father is us citizen and my periority date is 21april 2008 .plz tell me when i will be called for visa interview and as october 2012 visa bulleten is announced what effect it has on F1 catageory. Kiasar, there is no way of knowing how long it will take for a visa to become available for your petition. Even the people at the DOS who put out the Visa Bulletin are not able to predict visa movements more than a couple months in advance. But it will probably be at least a couple more years. You can read my post on the October 2012 Visa Bulletin to see how the F-1 category moved this month. 1. If My fiance’s green card is being sponsored by his employer and is being processed and is in the final stages, in this process if we get married will i receive a green card too along with him? 2. if yes how long will it take for me to receive a green card?